On 16 June 2017 a coordination meeting of competent representatives of law-enforcement (LE) agencies of CSTO countries took place in Moscow. 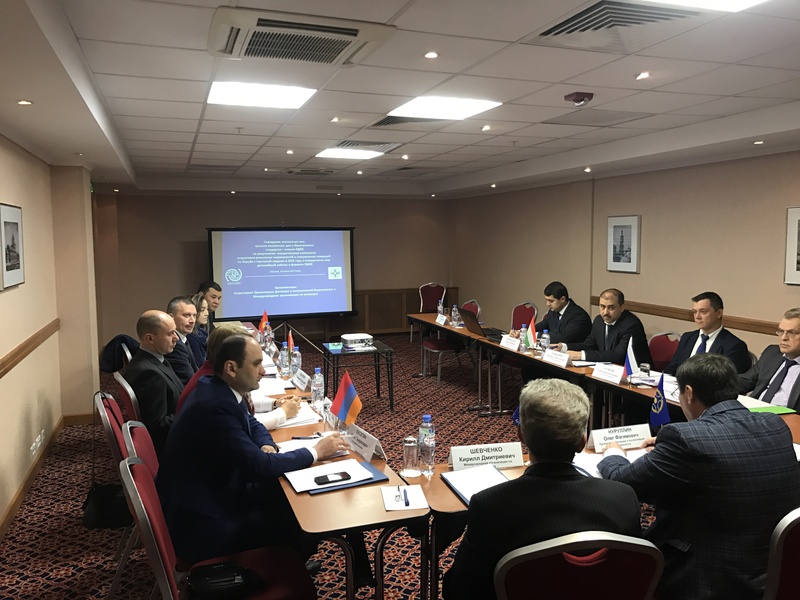 The meeting was attended by the representatives of IOM Moscow, CSTO Secretariat and representatives of CSTO member states (Armenia, Kyrgyzstan, Russia, Tajikistan). The participants exchanged information on the results of work of relevant departments of the interior and security agencies in CSTO states during the implementation of a CT operation 2016. Due to joint efforts more than 250 channels of trafficking in persons were identified (118 channels of sexual exploitation, 79 labour exploitation and 48 child trafficking). Competent representatives of law-enforcement agencies of CSTO countries received valuable information about persons involved into organization of trafficking in persons, locations of persons hiding from investigation process or court and missing persons. About 100 criminal cases on trafficking in persons and labour exploitation were initiated. Additionally, more than 300 000 criminal cases were initiated within CT operation as follows: 60 887 for illegal drug trafficking, 9 403 for illegal trafficking of weapons, 1 351 for illegal migration, 994 for illegal border crossing. 688 persons being in the international search were identified. 45 financial investigations were conducted. Upon the results of the coordination meeting, a Protocol on the necessity of continuation of joint efforts in combating trafficking in persons was signed and distributed among the participants.